Welcome to Crown Shores! 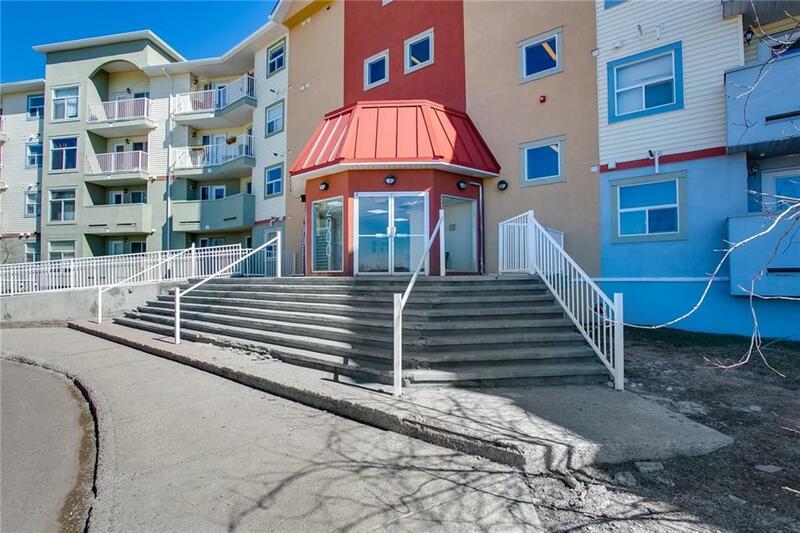 This bright and spacious 2 bedroom, 2 bathroom suite is just steps from the elevator and the underground parking stall and features an open layout with in floor heat and laminate flooring throughout. 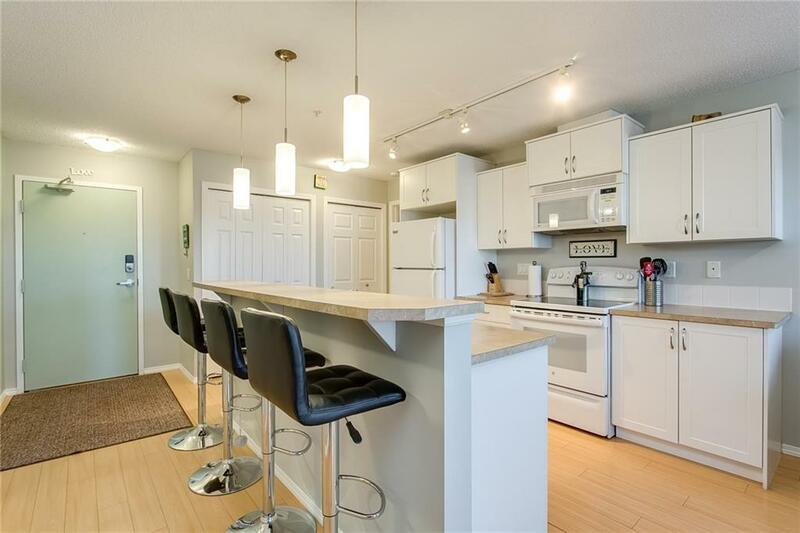 The white kitchen has plenty of cabinets, pantry and large island with eat up bar and is open to the living room with direct access to the large covered deck. The master suite has a massive walk-in closet and a 4 piece ensuite and on the other side of the suite is a generous sized second bedroom right beside the 4 piece main bath which is a perfect layout for having a roommate. 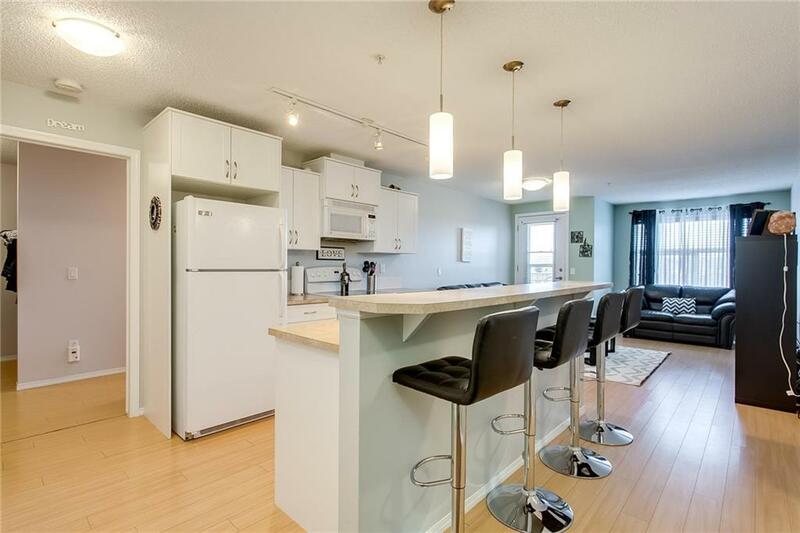 There is also a large laundry room that can accommodate a full size washer & dryer and plenty of storage space. This unit comes with 2 parking stalls - 1 titled underground parking stall and 1 assigned surface parking stall. There is also plenty of visitor parking. 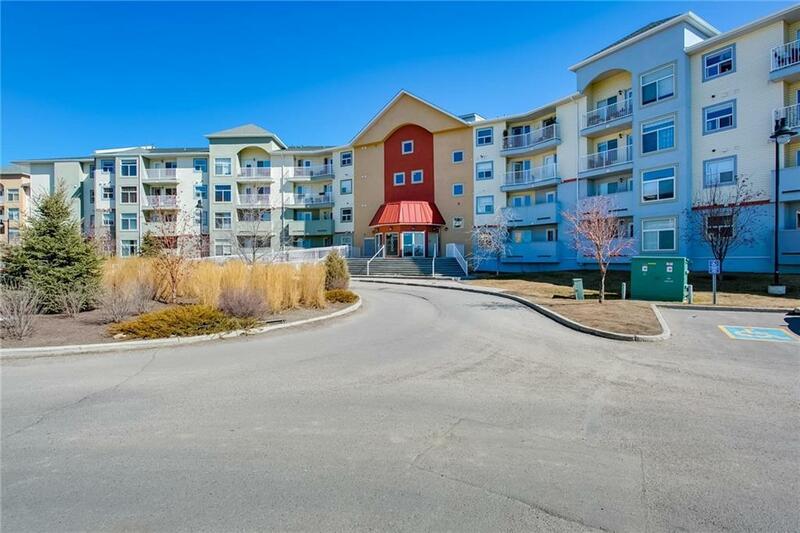 Located close to Airdries pathway system and all amenities. Dont miss out!